Every year we see them coming out of the wood work at electronic shows, special events, and even just leaking out on the internet. The “next big thing” is here, or the “best ______ ever” has arrived. Seeing these, as we call them what they are, “commercials” coming at us from all directions instantly makes everyone want to open their wallets and hand over nearly $1000 for these magical new devices that will make our lives better. The question is, do you really want that device, or do you want to save a huge amount of money and get something that works almost as well? For starters, let’s look at the typical top tier device and see what you get for that huge price tag. First off, the latest generation processor for speed and fluidity of the device. This is great so you don’t feel that “swipe and wait” feeling. Next up, more RAM. This is what keeps the phone running Apps and such. Again, more is better and keeps things running smoothly. Then we have more storage, which honestly, is very nice to have, even if a device has somewhere to store media. Then we get to super high resolution screens, monstrous camera modules, and special features like waterproofing and quick charging. It’s downright scary to think about the amount of power you get in that one little device. Now, it’s time to consider how you use your device. For the power hungry techie, things like RAM, IP68 ratings and a 4k screen might seem important, but if you are someone that looks at their phone as more of a DayRunner and, well, phone, then you should probably stop here and never, ever, purchase a flagship device again. Most flagship devices will cost users nearly $30 a month on their bill if they finance them or between $500-1000 depending on the configuration they purchase. As a comparison, the previous year’s model will run about 20% less in cost. To save even more, users should consider brands that don’t get mentioned as often as they should. Long time computer manufacturers like Asus, Acer, Lenovo and upstarts like BLU Mobile, Sky Devices and Plum Mobile are breaking the mold of lower end devices being trash and putting out some quality hardware at more than fair pricing. When you consider that Lenovo actually owns Motorola, you can rest assured that they are making some quality phones, and doing so at incredible prices. Typically, these companies offer extreme value models that start under $100. They will also have a few models that broach the $300 mark that have more, “flagship” style specs, but just aren’t as strong as their $750 competitors. What is missing from these lower end and budget devices? That all depends on the models. BLU Mobile has made some seriously wonderful hardware in the past. Their LIFE series is one of the strongest offerings from a smaller company in recent memory. A stunning build quality, decent feature array and a pretty current version of Android make this line a great one to consider. 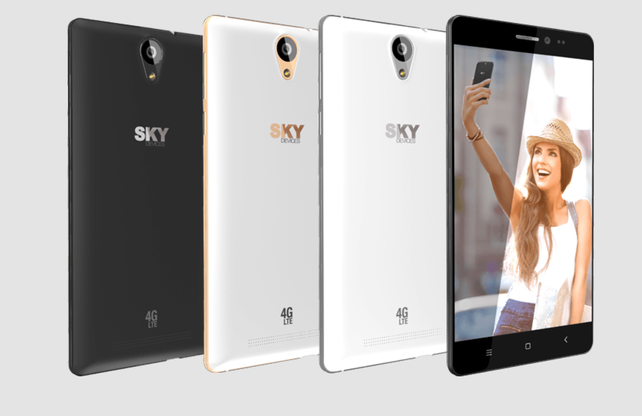 Sky Devices has also released a few lines that could turn heads, but they are even more known for pricing that obliterates the competition. Devices under $50 should not have the performance of the Platinum 4.0, but somehow Sky manages to put a sub $50 phone out that really shines. When you look at devices in the sub $100 range, be prepared for a few compromises though. Smaller hardware manufacturers may have the resources to purchase components and assemble them into great phones, but that doesn’t always translate to something that will be around for a few years. For example, many of the value phones are still running Android 4.x or 5.x. This means, unlike Apple that supports devices for two full years or longer, that you will be running older software that may not receive security updates or may contain bugs that have been fixed in later releases. That’s not always the case, but it’s worth considering when you begin to look at lower cost devices. Our recommendation is that you keep within 2 generations of the current version of the operating system that your phone runs. 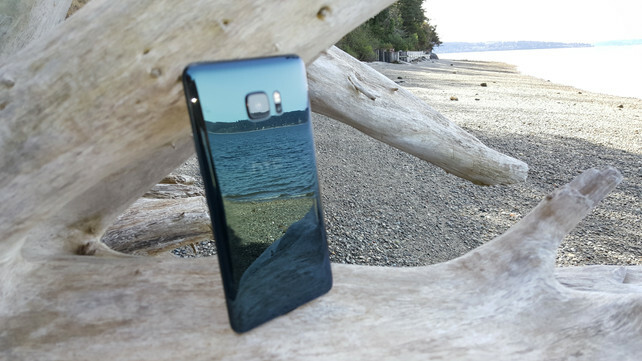 You will also notice a drop in quality between the build quality of the flagship devices and the lower cost models. You may see “light leaks” around the screen or perhaps some play in the SIM tray. Little issues like this really won’t affect the device at all, but some users will gladly pay ten times as much for a device that shouldn’t have those issues. Finally, and probably the biggest drop in quality that you will see in the lower cost handsets, is the camera module. Big name manufacturers have spent millions of dollars teaming with juggernauts from the imaging industry to create a photographic experience that will be better than everyone else’s. Smaller companies just don’t have the resources to compete with this and team with Zeiss or Leica to create such an experience and thus, you won’t be able to take quite as good of photos to share on Instagram and Facebook. While some users may be just fine with adding $100-150 to their family’s cellular costs every month to get that latest and greatest tech available, it may be worth taking a peek at some of the other options available today. Remember, last year’s flagship is very close to this year’s budget device in terms of specs. It’s not always a bad idea to cut costs where you can in order to save money where you don’t really end up using it. Previous Post HTC’s Summer Sale Can Save You $300 Or More! Next Post What Does Bluetooth 5 Mean For You?